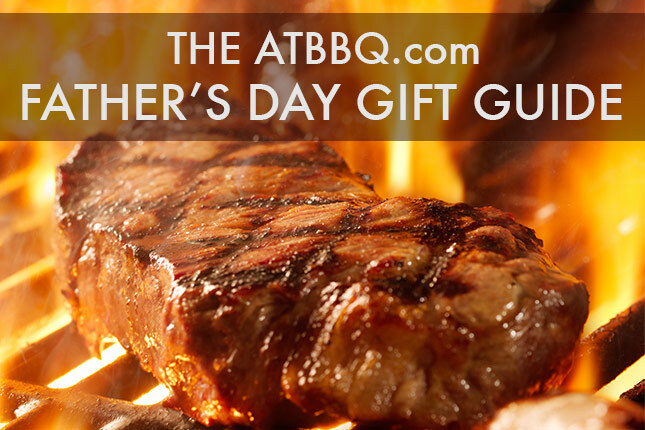 Father’s Day is Sunday, June 15th. The Maverick ET-733 Wireless Barbecue Thermometer is an update on the classic ET-732. The ET-733 allows you to monitor both meat and barbecue pit temperatures, and also allows you to monitor two meats or two barbecue pits at one time! The Maverick PT-100 Pro-Temp Instant Read Professional Thermometer is a must-have tool for any outdoor cooking enthusiast. This instant read thermometer uses a professional grade thermocouple to give you highly-accurate and nearly instant internal temperatures of anything you are cooking. The Lodge 12″ Cast Iron Skillet is a go to for many of the best chefs in the country. Cast iron cookware is naturally non-stick, and unlike other cookware it will get better with age. This 12” skillet has a 2” depth making it perfect for sautéing, searing, frying, baking and stir frying. UTC Hardwood Cutting Boards are hand built one at a time, and are manufactured to give you a lifetime of use. These high quality cutting boards are made from various hardwoods including walnut, oak and maple. The Pit Mitt is made of aramid fibers that form a heat barrier for ultimate protection. A soft cotton inner layer provides comfort while the long length protects your lower arm. The Pit Mitt can withstand temperatures up to 475 degrees while the silicone on the mitt surface gives you superior grip. The comprehensive, must-have guide to Texas barbecue, including pitmasters’ recipes, tales of the road—from country meat markets to roadside stands—and a panoramic look at the Lone Star State, where smoked meat is sacred. This sauce mop features an all cotton detachable head and an 18-inch handle. The Steven Raichlen Sauce Mop is ideal for applying basting mixtures, mops or barbecue sauces. Replacement heads are also available. This is the ultimate rib rack. One side of this rack holds large cuts of meat or poultry while the reverse side cooks ribs upright, allowing you to smoke up to six racks in the space of two! The non-stick coating making clean up a breeze. The choice of competitors everywhere, BBQr’s Delight Pellets are consistently rated among the highest quality pellets available. These pellets are a blend of 2/3 oak and 1/3 flavor wood giving you a high BTU, low ash burn that is perfect for smoking, baking and grilling.